Dragon’s Breath debuted in 2008 as an encore for World Finals 9, however, the truck didn’t compete until 2011. 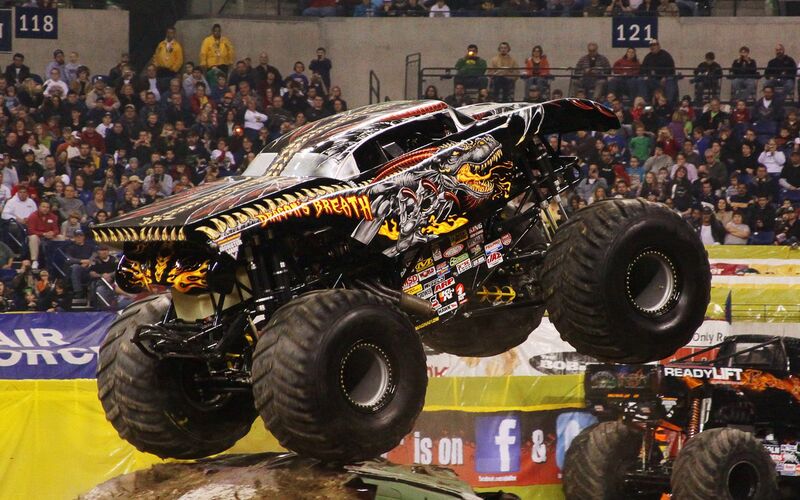 Dragon’s Breath was originally named Spitfire and featured the same design, and was available as a playable truck with the name Spitfire in the video game Monster Jam: Urban Assault. In 2008, Dragon’s Breath is introduced as encore performance for World Finals 9, under the name Spitfire. In 2010, it is announced that Dragon’s Breath would return, being driven by former Nitro Circus crew chief, Becky McDonough. In 2014, Scott Liddycoat begins to drive Dragon’s Breath. This is the last year that Dragon’s Breath competed in, as it was replaced by similar truck Dragon for the 2015 season. Dragon is driven by Scott Liddycoat.